Her husband works as a casual day labourer. “We no longer get any food assistance from the government and now have to buy food on credit. When my husband doesn’t work we go without.” A lack of basic services, including water supply and sanitation, is exacerbating living conditions. Jaffna District comprises a peninsula and seven inhabited islands at the extreme northern tip of the island, and such stories are not uncommon among the more than 580,000 inhabitants, who are still recovering from a civil war that began in 1983 - one of the world’s longest conflicts. Hundreds of thousands of people who fled the fighting have returned to Northern Province since the conflict between government forces and the Liberation Tigers of Tamil Eelam (LTTE), who had been fighting for an independent Tamil homeland, ended in 2009. The province comprises five districts: Jaffna, Kilinochchi, Vavuniya, Mannar and Mullaitivu. More than three years on, over 300,000 of the people displaced after 2008, when renewed fighting broke out, have returned to their places of origin in the north. This number includes almost 53,000 who have come back to Jaffna District, the UN Refugee Agency (UNHCR) said, where nearly 40 percent of these people are still living with host families. But unlike most returnees in Jaffna, Parameswary was displaced more than 20 years earlier; underscoring the protracted humanitarian impact of this war. Pockets of food insecurity remain across the north, including severe malnutrition, with many returnees now skipping meals and going into debt to buy food, aid agencies say. In a recent nutritional survey in the north, the World Food Programme (WFP) estimated that more than 19,000 children under the age of five were suffering acute malnutrition. The preliminary findings of a 2012 comprehensive food security assessment (CFSA) by WFP, yet to be released, indicate that 44 percent of households in the five districts of Northern Province are food insecure (37 percent moderately food insecure and 7 percent severely food insecure). A similar survey by WFP and the government in 2011 found over 60 percent of households in Northern Province were food insecure (46 percent moderately food insecure and 15 percent severely food insecure). "While there have been improvements, without doubt, food insecurity continues to be a serious cause for concern across pockets of the north. People there are really struggling," said Julia Vasconcelos, head of WFP's area office for Northern Province, citing rising food prices, lack of job opportunities, and high levels of poverty as contributing factors. Among the 3,800 households interviewed across eight districts in the north and east - Jaffna, Kilinochchi, Vavunya, Mullaitivu, Mannar, Trincomalee, Batticaloa, and Ampara - food insecurity was particularly pronounced in Jaffna. At present 55 percent of Jaffna residents are food insecure (44 percent moderately food insecure and 11 percent severely food insecure). Of the 111,457 families now classified as food insecure in the five northern districts more than 65 percent, or 73,404 families, are in Jaffna. While overall poverty levels across the north have dropped in the past year, 55 percent of households in Jaffna continue to live under a poverty line of less than US$1 per day per person, the findings revealed. 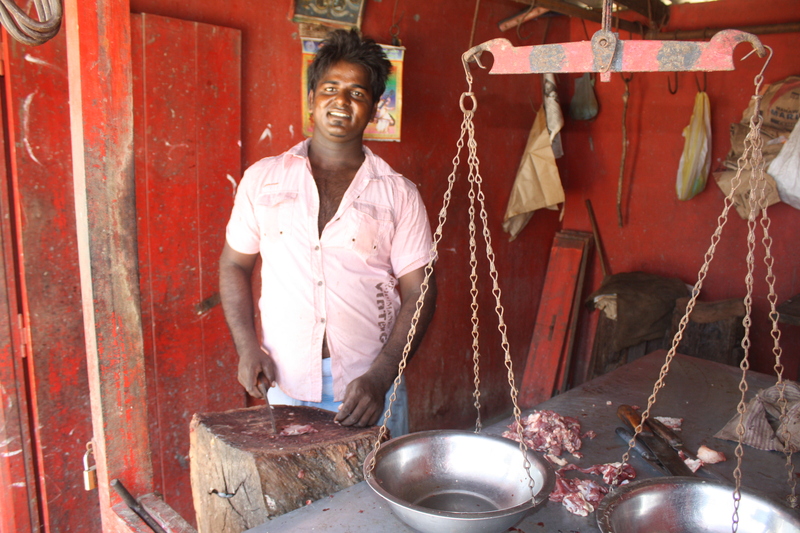 Fruit, vegetables, and other food are readily available in the local market, but “People simply don’t have the money [to buy enough food],” said Rashkarn Marthraja, a butcher in Jaffna. The price of rice, a staple part of the Sri Lankan diet, has remained largely stable, but prices for dairy products, meat and other items have seen a dramatic increase. “Last year a kilo of meat cost 700 Sri Lankan rupees (US$5.23). Today it costs 1,100 rupees ($8.22),” he said. By comparison, Kilinochchi District, once the heartland of the conflict, has reported a significant drop in the number of food insecure people, from 84 percent (54 percent moderately food insecure and 30 percent severely food insecure) in 2011, to 24 percent (22 percent moderately food insecure and 2 percent severely) in 2012. An increased intake of fruit, dairy and meat products have improved people’s diets in the area, the CFSA noted. Food experts cite the recent economic boom in the area, coupled with lower levels of poverty, as some of the reasons. The prospects of similar improvement for the residents of Jaffna will require more time and livelihood support; a fact the Sri Lankan government is well aware of. 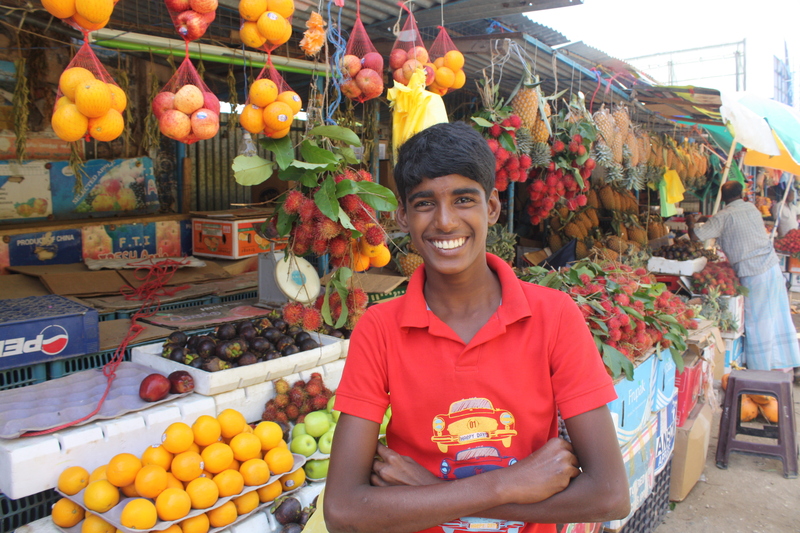 According to WFP’s recent findings, 38 percent of households in Jaffna report using credit to meet their food expenditures, while 90 percent report at least one family member or more unemployed or actively looking for a job.